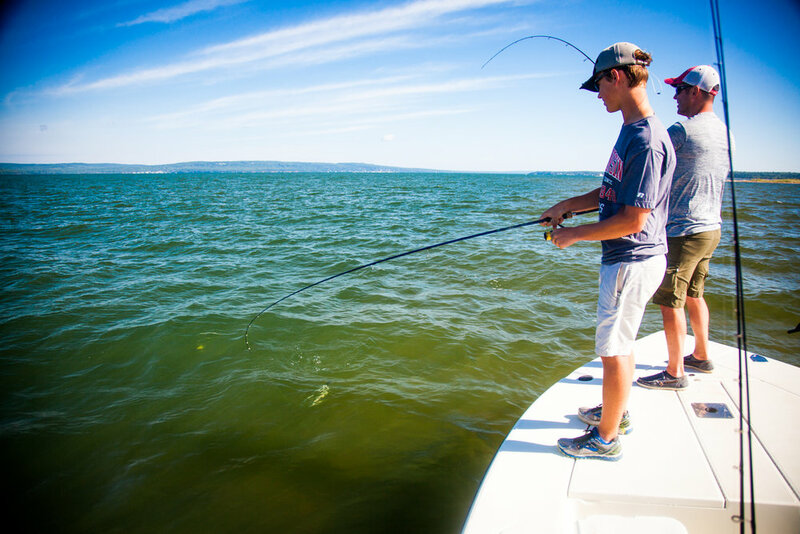 Welcome to Anglers All Guide Service, your premier light tackle and fly fishing charter service on Chequamegon Bay in Ashland, Wisconsin. 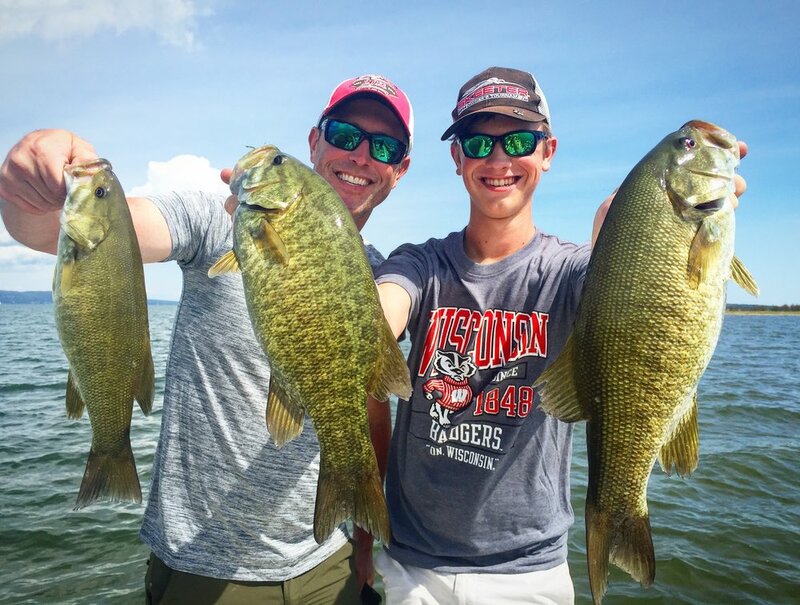 We operate a professional guide service with over 30 years experience specializing in fly fishing and light tackle angling for Smallmouth Bass and other species on chequamegon bay and northern wisconsin's inland lakes and rivers. Add $50 for 3rd person on full and half day trips (for best experience, we can only take up to 2 people on fly fishing trips). A $100 deposit is required for each day reserved with each guide. Deposits are non-refundable unless guide cancels trip (Usually due to inclement weather). If client cancels trip your guide will try to find another day in the same year, otherwise deposit is forfeited. Cancellations within 30 days of trip will forfeit deposit. If cancellation occurs within 2 days of trip, customer will be charged in full. 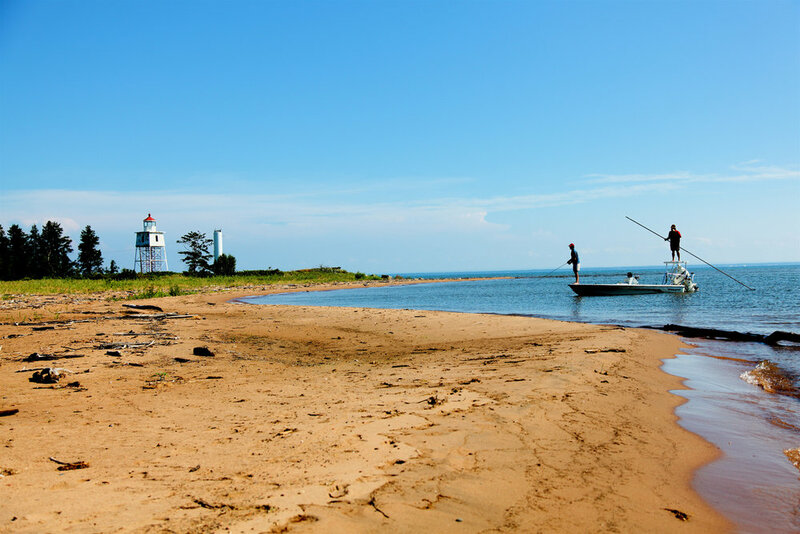 Looking to continue to support, promote and protect Chequamegon Bay's catch and release smallmouth fishery I take great pride as a guide to share the waters of the Bay with all anglers. I specialize in both fly and light tackle gear and accommodate all levels of anglers Growing up and living on Chequamegon Bay, I've been lucky to have a world class fishery out my back door. I hope to give customers a unique perspective on shallow water smallmouth bass fishing, which truly is my passion. 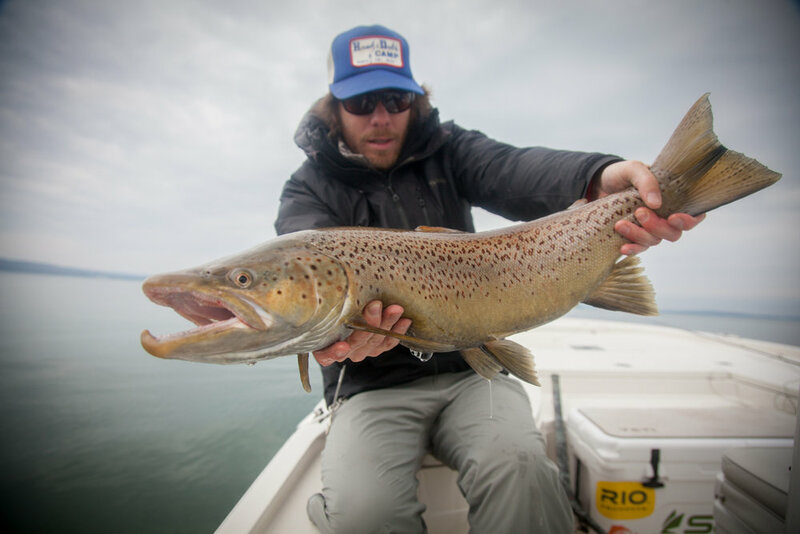 As a freelance writer and photographer, my work has appeared in The Fly Fish Journal, The Drake Magazine, Eastern Fly Fishing Magazine, and other publications. As a guide, my number one goal is to continue to carry on Capt. Roger Lapenter's legacy and educate future anglers about the work he did to help create one of the best fisheries in the county. Rogers biography would take a novel of epic proportions to capture. He has done it all and then some. 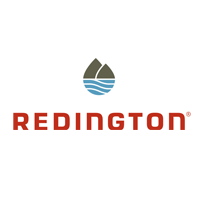 In terms of guiding he began in the Rocky Mountains with one of the first rafting companies in the Aspen Valley guiding fishing and hunting. Roger spent years fishing all of Florida's waters, which later prompted him to start a fishing camp inMexico. His travels have led him to fishing destinations including Alaska and Central America, and perhaps most notably, 40 years of fishing the Bahamas. 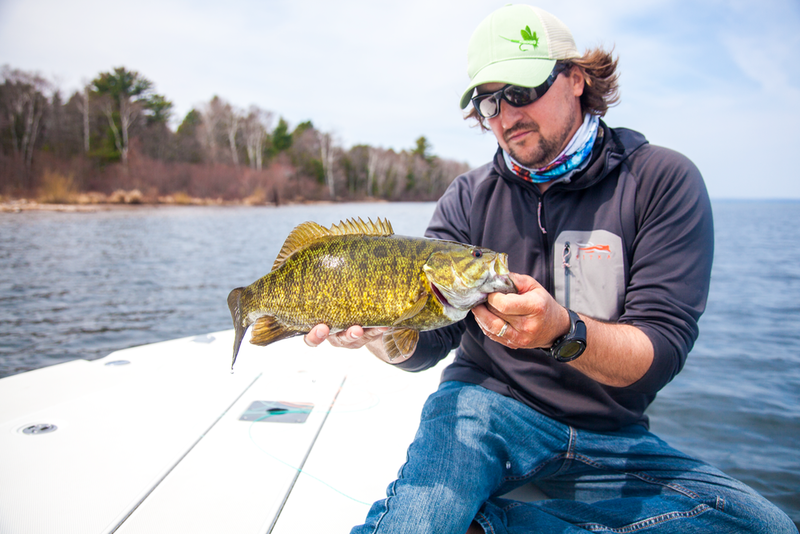 As a lifetime achievement, Roger helped pave the way to a sustainable fishery in Northern Wisconsin by advocating for a catch and release regulation on Smallmouth Bass in the Chequamegon Bay. The results speak for themselves as this fishery, over 20 years in the making, now thrives with some of the largest Bass in North America. 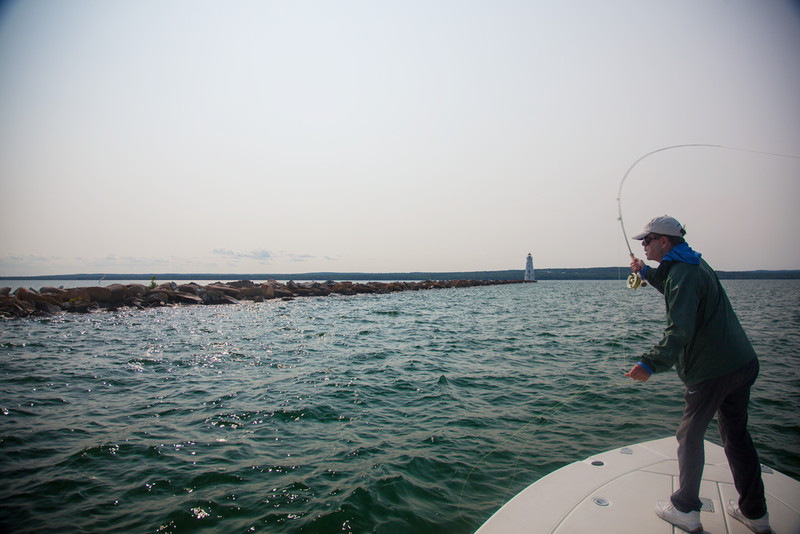 Roger's relationship with the Smallmouth Bass of lake Superior was on a very personal basis, however, knowing his modest demeanor, let it suffice to describe him as the type of fisherman that, if there are fish to be caught Roger would find them; a true fish indicator! Roger was inducted into the National Freshwater Fishing Hall of Fame in August of 2014. His latest fishing adventures found him in the little known waters of an island in the south eastern Bahamas. Captain Roger passed on to continue to watch over his fisherman in late January of 2017. He will be missed by many people, but his legacy will continue to live on.